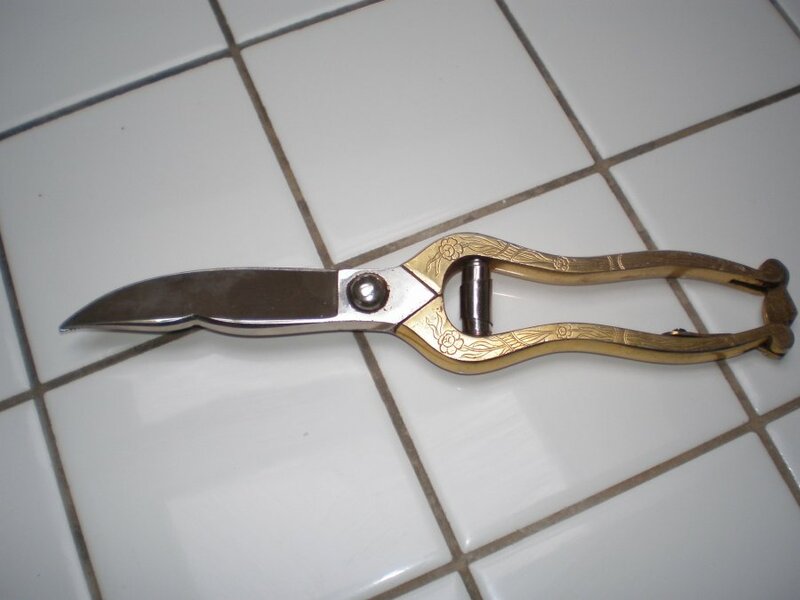 I'm looking to find information about 'J.S Hollar Co. kitchen shears'. I paid $2.00, are they worth anything? From Adolph Blaich a sporting goods retailer in San Francisco late 1800's. Weight about 12 oz. Length 10"
I've found a similar pair of shears by the same maker and time period. These have what looks like horn inlay on the handles. Yours look like quality brass handles. Regardless I hope this gives you an indication of what you could find for your J.S Hollar Co. kitchen shears.